Hello! I’m T. J., the dweeb who wrote “Double Dragon Warrior.” Having been a Nintendo nerd for most of my life, The Lost Worlds of Power is like a dream project for me. Being able to pay homage to the classic NES games that we cut our teeth on while doing it in the silliest way possible sounded like heaven! 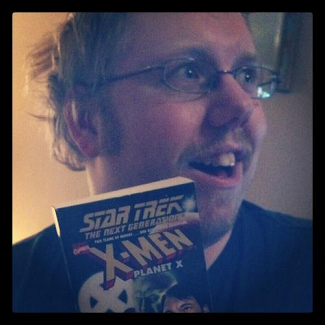 I’m very honored to be chosen for this compilation of awesome! Now the reason why people are reading this: is “Double Dragon Warrior” just like it sounds – a mash-up of Double Dragon and Dragon Warrior? The answer is yes, yes it is. While I was driving home from work and thinking about what to do for The Lost Worlds of Power, the title of “Double Dragon Warrior” suddenly popped into my head. I had no plot outline or anything, just a single scene that I won’t spoil for you all because it still cracks me up to think about it. The idea popped into my head because I really wanted to write something about the criminally unappreciated Dragon Warrior, but I couldn’t think of a way to turn it into something goofy enough to become a successful novelty novel. That and I couldn’t stand the thought of tearing that game apart for the sake of comedy. I just love that game too much. Like many kids in the late ’80s, I found out about Dragon Warrior through Nintendo Power. I wasn’t lucky enough to get a copy of the game free, but I still had the magazine with full-page spreads of how cool Dragon Warrior was, along with a player’s guide chock full of artistic interpretations. 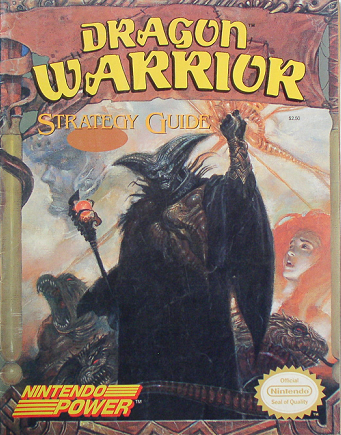 I still remember the cover of the guide with the Dragon Lord looking eighteen times more menacing than he did in the game. I would read and re-read the guide and the magazine just to soak up the lore, imagining the weapons in action, and fantasizing about fighting the monsters. I finally got to play the game after renting it from the video store. I was used to platformers, so this slow-paced game where I had to talk to people and plan out my fights was refreshingly weird. Plus, it was amazing the way the game saved your progress without having to input a ridiculous password like you did with Mega Man or Castlevania. Looking back, I don’t know how I had the patience to play that game. Holy crap was it ever brutally hard! I’d spend hours grinding and fighting just to be able to afford an actual sword. And heaven forbid you forget to hold the reset button in before you power the game off, lest you hear the literal death rattle of your save file being obliterated by the forces of evil. Despite its harshness, there was always just enough of a reward to make the frustration and grinding worth it – even if that reward was getting to fight a new and colorful monster. The monster design still stands out for its unique takes on classic baddies thanks to Akira Toriyama’s talent. Dragon Warrior lit the fuse of my obsession with RPGs that continues to this day. Back then, I rented any game that even remotely looked like an RPG. This lead me to playing games as great as Final Fantasy and Crystalis, as well as lukewarm titles like Hydlide and Ultima: Exodus. 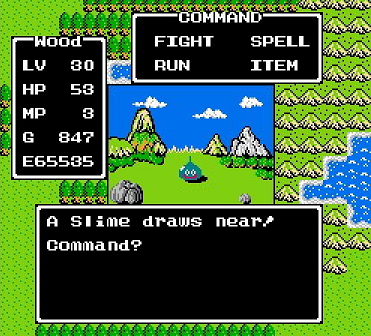 When the RPG Golden Era was ushered in by the Super NES, I was over the moon all thanks to Dragon Warrior. On the flipside, Double Dragon was the action game back in the day. Sure, it isn’t as good as its contemporaries and the sequel is vastly superior if only based on getting to kick guys out of a helicopter. Even so, this game holds a special place in my heart as the quintessential side scrolling beat-’em-up. Playing the game would get me all wound up and sweaty from doing little kid karate all over the house and gave me the foresight to know that throwing an oil drum at someone is a totally viable way to knock them over. For nostalgia’s sake, I thought about maybe writing something about the adventures of Billy and Jimmy Lee. They had the whole “brothers fighting over the same girl” thing going on, but that doesn’t seem ripe for shenanigans. When the sudden idea hit to combine these two, it seemed like peanut butter and chocolate. Not only could I still play the Dragon Warrior story straight, but I could shenaniganize it by slapping in Billy Lee as a fish-out-of-water protagonist. Sure, that type of story has been done to death, but I could maintain the integrity of Dragon Warrior and use Billy Lee and his ’80s street smarts for situational hilarity. Thus, “Double Dragon Warrior” was born. The more I started to write this, the more the mash-up started to make sense. In Dragon Warrior, you play a nameless protagonist from another land who has no belongings and can barely hold his own against the cute little squish-pile slimes roaming around. I mean, how did that guy even get there, let alone become the hero? It actually makes more sense to think that the protagonist is from another world instead of being the great-grandson of a legendary champion of good. While I intended to write “Double Dragon Warrior” without putting too much thought into it, I became engrossed in it. It was all I could think of during the week, and I spent most of my time after work and on the weekend writing and thinking and revising. By the time I was done, I’d written a damn novella. A novella about a kung-fu bro fighting monsters in a medieval fantasy land. Awesome. Aside from the obvious deviations from the Dragon Warrior story, I kept the story mostly faithful to the original with only a few tweaks. I also wanted to be faithful to the time time where Double Dragon came out in order to avoid anachronisms. 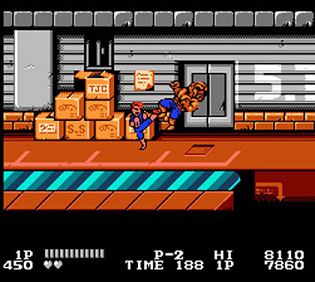 Since Double Dragon came out in the summer of 1988, Billy Lee’s pop culture references needed to be from around that time or sooner. While this gave me a hilarious Google search history, it prevented Billy Lee from falling into the Bill and Ted’s Excellent Adventure rabbit hole of allusions. So that’s the blabbery tale of why I chose to make “Double Dragon Warrior” a thing. I hope that everyone enjoys reading it as much as I enjoyed writing it. 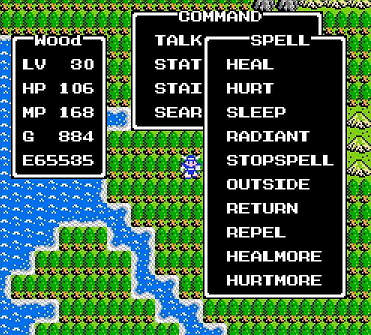 I remember playing Dragon Warrior a lot when I was younger. I always found talking to the princess to be the funniest part of the game. *Choose yes or no* NO.